Hello! 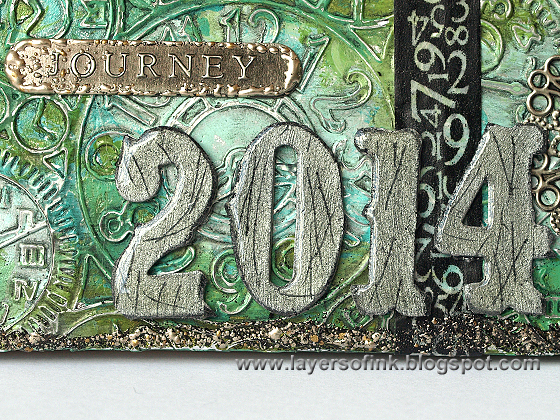 Almost weekend, and in the very last minute, my version of Tim Holtz 12 tags of 2014 January. 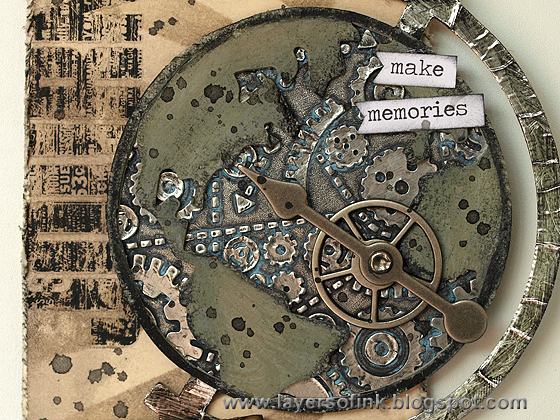 I loved the cool effect of the dry embossed metal foil clock gears on Tim's tag, but instead of using the Pocket Watch die, I used the Vintage Globe. I die cut the globe from grungeboard and carefully cut away the ocean parts with a craft knife. I die cut it again from foil tape and adhered it to the base of the globe (I forgot to adhere foil to the grungeboard before die cutting the globe). One of the Sized Circles fit perfectly behind the globe and I covered a piece of grungeboard with foil tape and die cut the circle from it. I used the same embossing folder as Tim did, since I liked the idea of all those little gears as the oceans of the world. 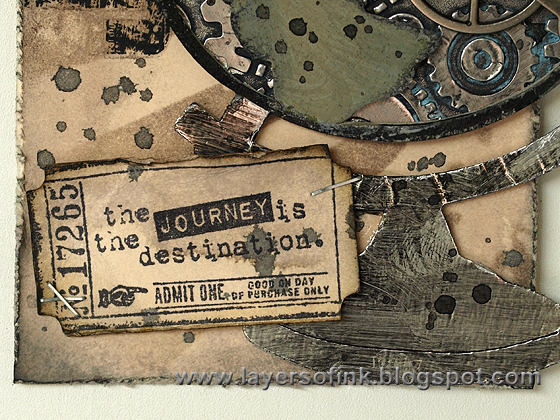 The embossed gears were distressed with Black Soot and Broken China paint, to also add some blue to the sea. I painted the frame of the globe black, and started out with Peeled Paint continents. Then I changed my mind and painted them with Frayed Burlap instead. 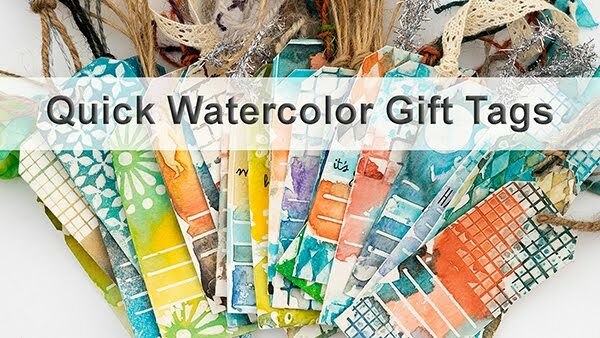 The background was coloured with Antique Linen and Pumice Stone Distress Ink, smeared on my craft sheet and misted with water, before pressing the tag into the ink. 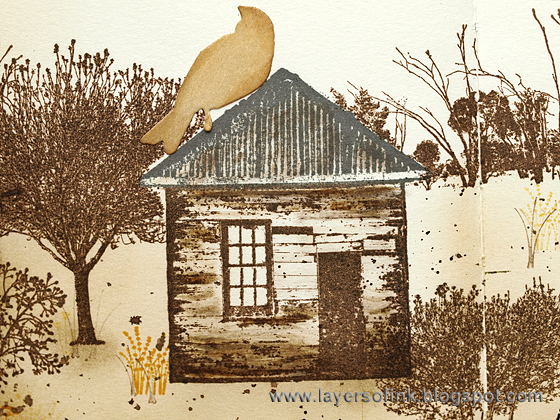 I used the Rays stencil and Pumice Stone to add detail to the background. Loved the look of the sanded rub-ons. I went with a travel theme. This is one of my favourite sentiment stamps and I thought it fit well here. Thank you for stopping by! Enjoy your weekend!! Hello everyone! Today I have a little Sizzix tutorial to share with you, made with Eileen Hull's new 3-D Shoe die from her new Cherished Collection. This is a perfect gift to a new baby. The techniques work just as well for many other types of projects. Here's the finished shoe. I only made one, but you can make a pair instead and it won't take much longer at all. Since the die both cuts and scores the material, these shoes are very easy to assemble. 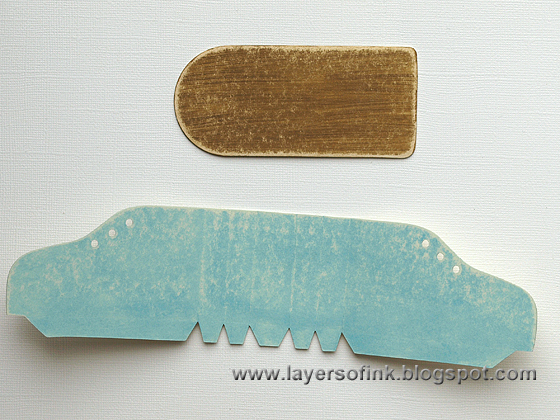 Die cut the three pieces for one shoe out of mat board, or chipboard. This is an XL die, so you need the extended cutting pads. 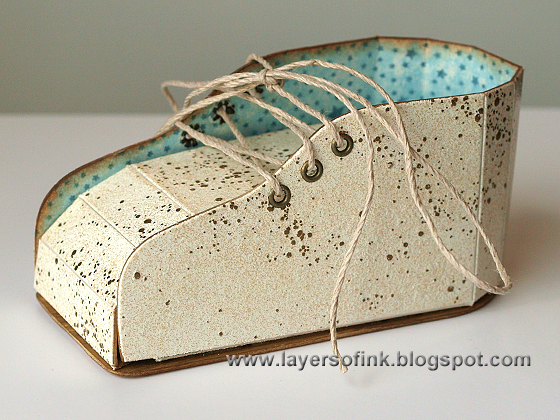 Paint the inside of the shoe with Broken China Distress Paint and the sole (both sides) with Vintage Photo. Aim for a streaky look on the sole. When the paint is dry, lightly sand both pieces for a shabby look. 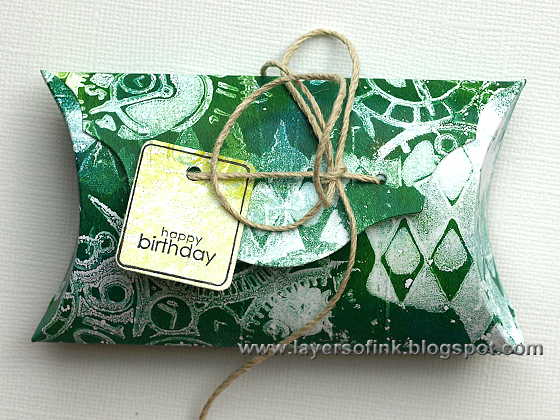 I love this Tiny Star Background stamp by Hero Arts. 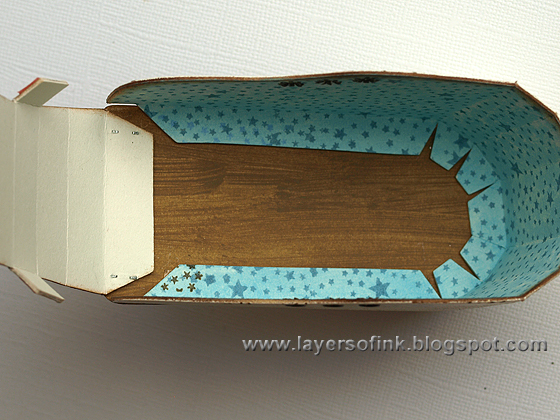 Stamp it with Cornflower Blue Archival Ink on the inside of the shoe, for a tone-on-tone effect. 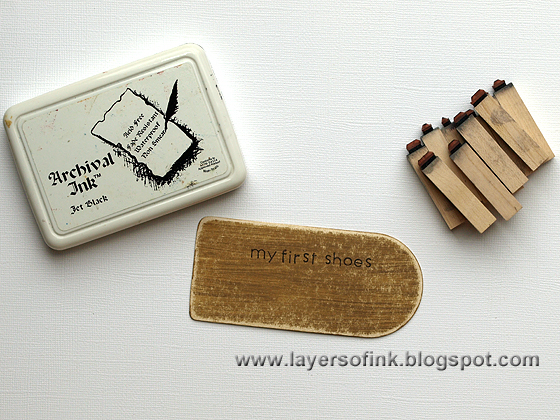 Stamp a sentiment and maybe also the name of the child on the sole of the shoe and his or her date of birth. I still have my first shoes, a white leather shoe (with a brown sole, just like these), and wanted to mimic that somehow. 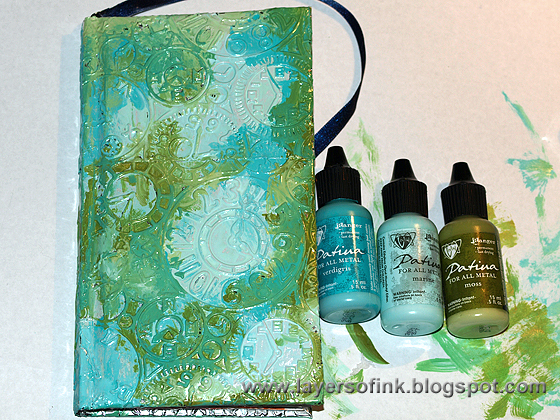 I decided to go with embossing powder. 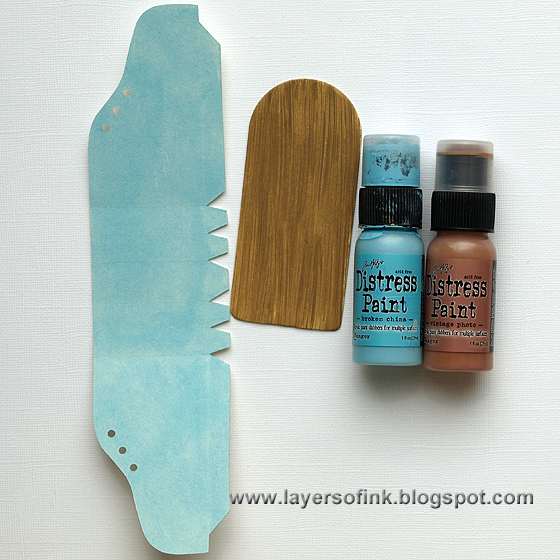 Apply embossing ink one section at a time on the shoe. I used Ranger's Emboss-It dabber since it gives great precision. If you get embossing powder on the flaps, remove it with a paint brush, since embossing powder on the flaps makes it harder to securely attach them. I also worked one section at a time on the areas with scorelines, since I didn't want to cover the scorelines with embossing powder. 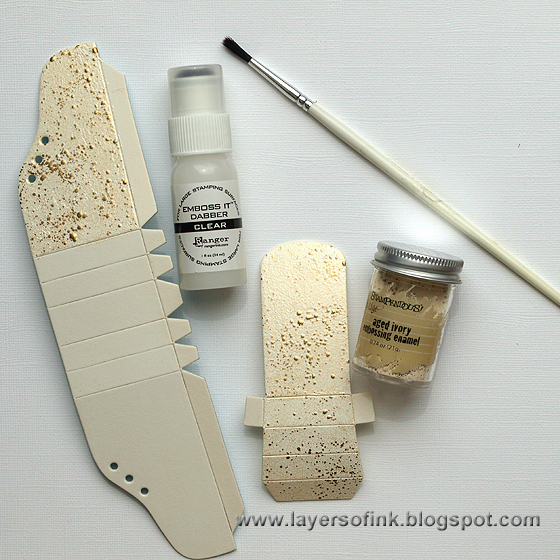 The Stampendous Aged Ivory Embossing Enamel gives a great look. 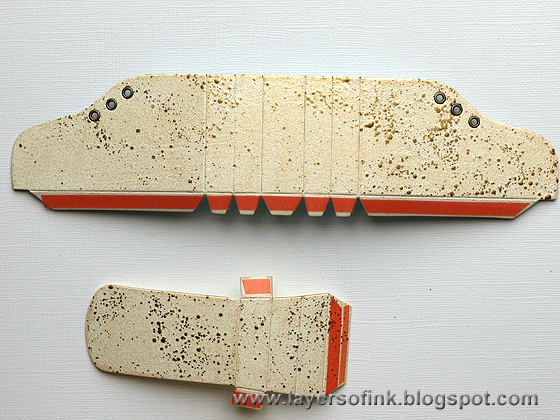 Set small eyelets into the holes and place strong adhesive on all the flaps. I used Wonder Tape. Adhere the shoe to the sole. I also added two tiny staples. 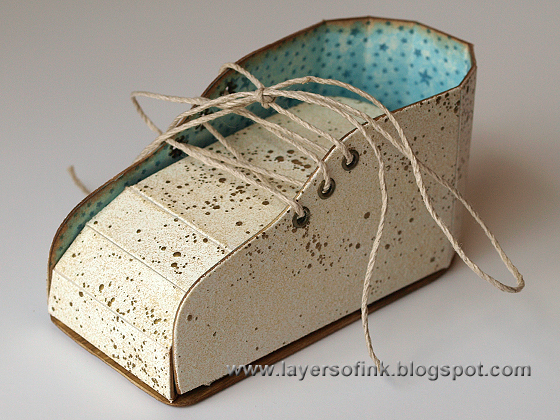 The finished shoe is so cute. Tuck a little gift inside the shoe or give the shoe instead of a card. Make two and use them as decoration in a baby room. You can of course also use different colours. Hi and welcome! 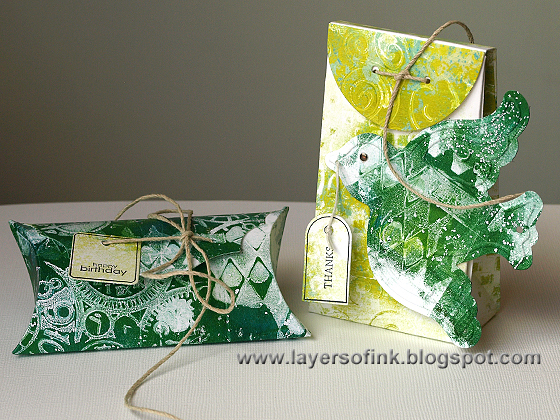 Today I have a quick gift packaging project to share using new Sizzix dies and some gelli printed papers. 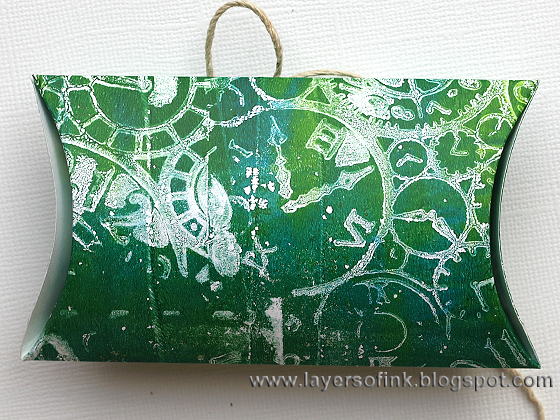 Every time I use my gelli plate, I make a whole bunch of prints, because it is so much fun. 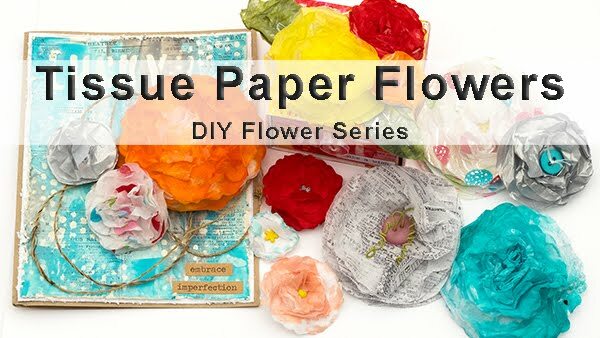 I love having these papers ready for projects and I thought they would work great for gift packaging. 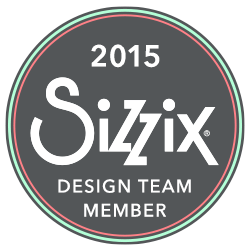 Here I used the new Sizzix Where Women Cook Bag w/Flap and Fancy Pillow Box dies. The dies both cuts and scores the paper and it is easy to assemble both the bag and the pillow box. 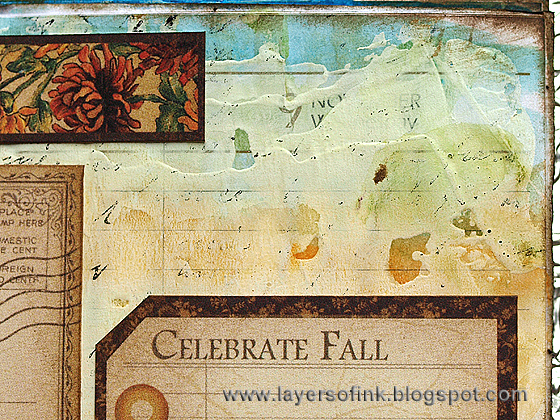 You can use patterned papers instead of the gelli printed paper, or stamp and ink some papers. The Bag w/Flap is an XL die, so you need the extended cutting pads. My printed paper was slightly too short, but I fixed that by die cutting the lid a second time and gluing it to the partial lid on the first die cut. 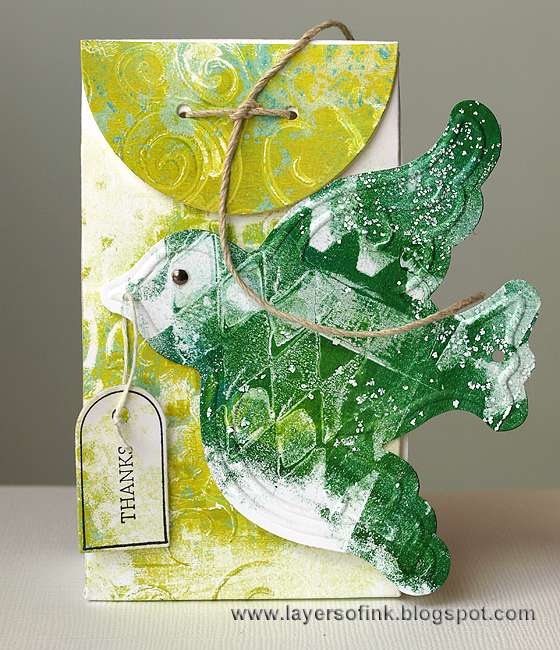 The bird was die cut from a darker green printed paper and embossed in the coordinating embossing folder, which comes with the die. Here you can see the side pieces on the bag, which I adhered with Wonder Tape, but any strong adhesive will work. For a sentiment, I used the Sizzix/Doodlebug Tag Framelits and Stamp set, which has eight tag stamps and coordinating tag dies. I like that the tags are so small, which makes them perfect for sentiments. 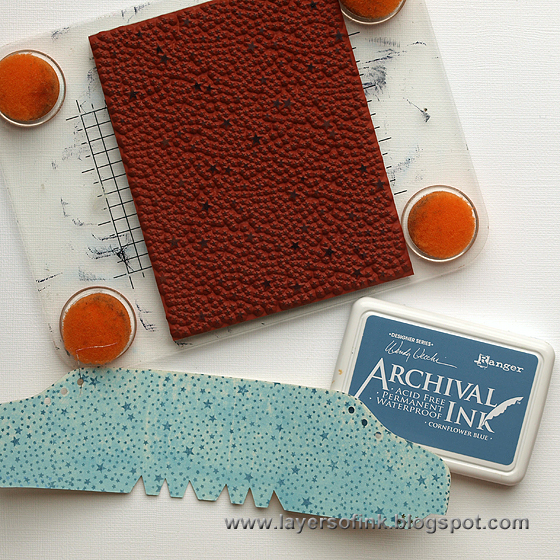 The gelli prints were created by pressing papers embossed in different embossing folders into the paint on the plate. 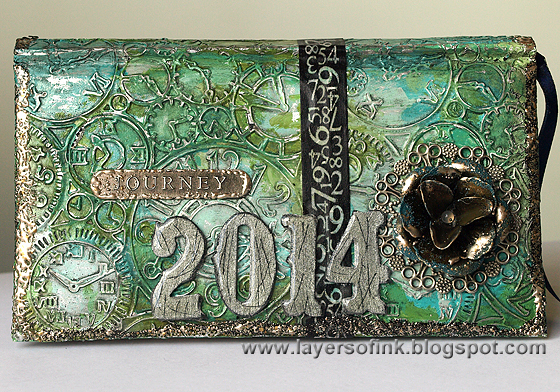 Check out my Gel Printing with Dies and Embossing Folders tutorial, for more ideas on this. Here you can spot the Checkerboard and Swirls folders. The blue paint was remaining on the plate from a previous print. 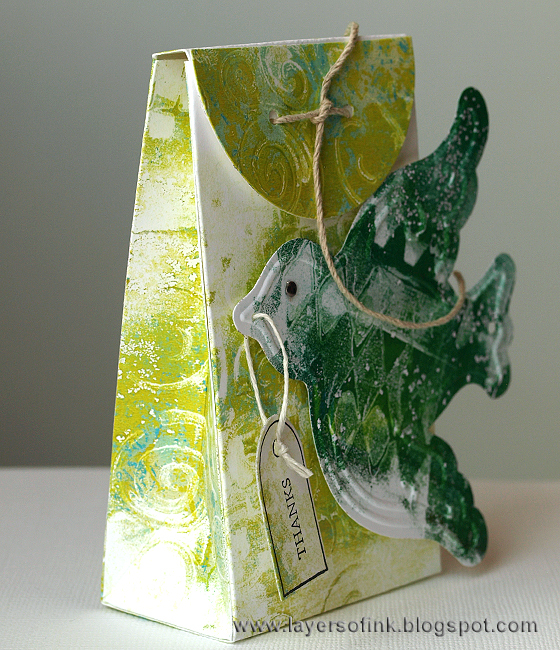 The pillow box was made in the same way, die cut from the same green print as used for the bird. The sentiment tag also comes from the same Tag set. 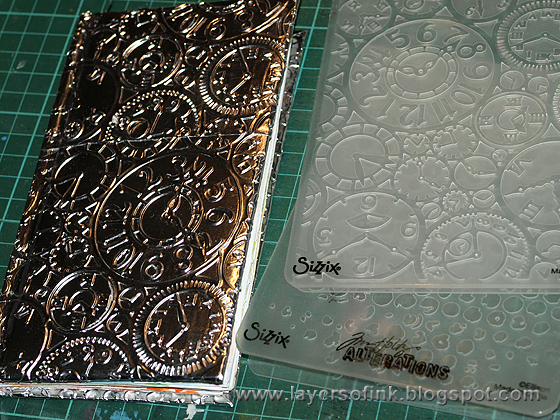 On this print you can spot the Clocks and the Harlequin embossing folders. 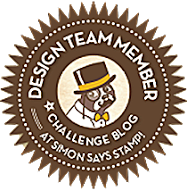 Hi and welcome to another Simon Says Stamp Monday Challenge post. This week we have a Wild West and cowboy theme. Fun and something different! 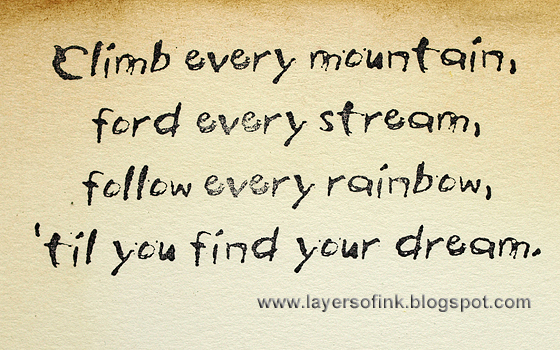 Be inspired by images, colours, wild west themes and more. Have you seen that we have got a new design team member, Emma Williams, I am looking forward to seeing all the gorgeous things she will create. 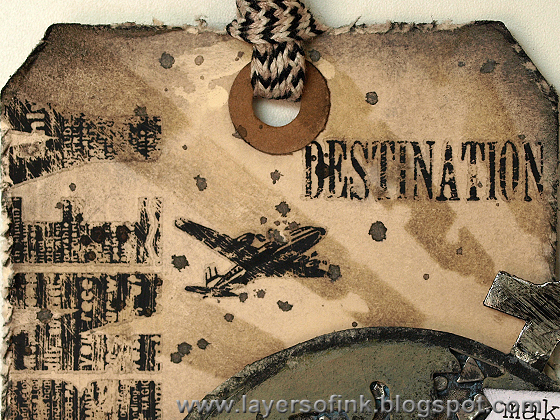 I have had fun doing scenic stamping in my small Dylusions art journal lately (check out this and this post) and for this week I used Darkroom Door stamps to build up a frontier/pioneer scene. The scene itself, the colours and the sentiments were all inspired by the Western theme. 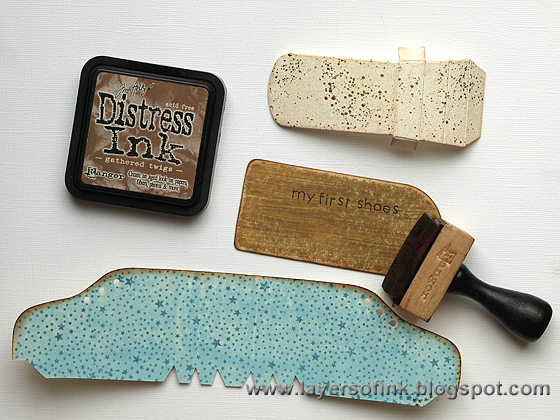 Most of the stamping was done with Potting Soil Archival Ink, which is my new favourite brown ink. I planned the scene on a scrap paper first to decide where I wanted to place the buildings and the trees. 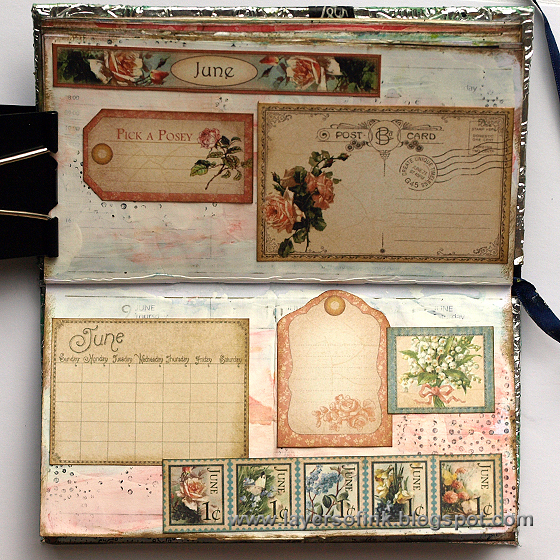 After stamping, the scene was inked with Distress Ink, with a relatively light touch. 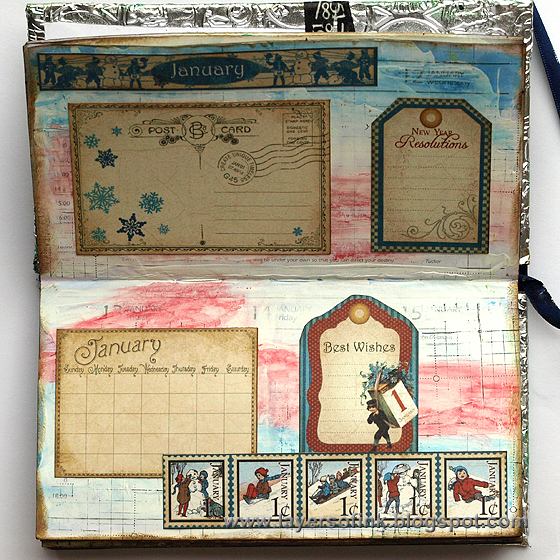 I really like these rustic house stamps. The roof was inked with Watering Can and the house itself with Potting Soil. To add some life to my scene, I die cut birds from Simon Says Stamp Birch Wood Veneer paper and inked them slightly. I love the tree line stamp in the background. 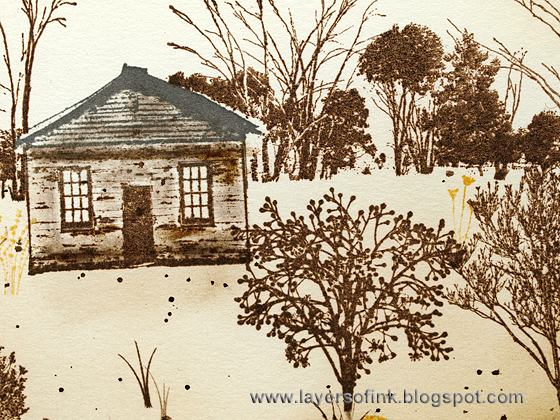 After inking, the scene was splattered with Walnut Stain Distress Ink, to give some texture to the grass area. I covered the sky with a scrap paper since I didn't want any splatters there. 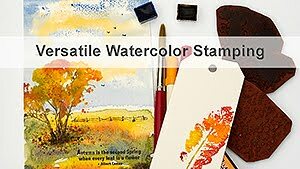 On the Home Sweet Home set there are some small flower and grass stamps, and I stamped them here and there, with Potting Soil and Saffron ink, to add detail to the scene. The sentiments were stamped with Jet Black ink, to make them stand out from the background. 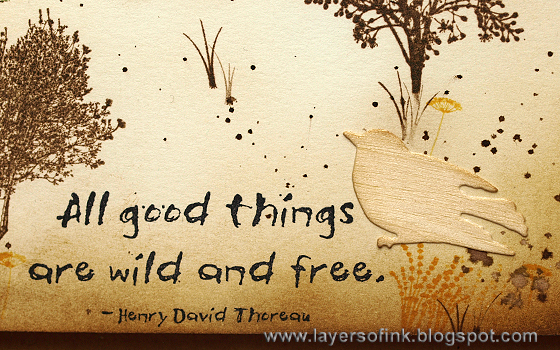 Isn't this a great sentiment? Join us in our Wild West challenge and you could be the one who wins the randomly drawn $50 gift voucher from Simon Says Stamp. Hello everyone! 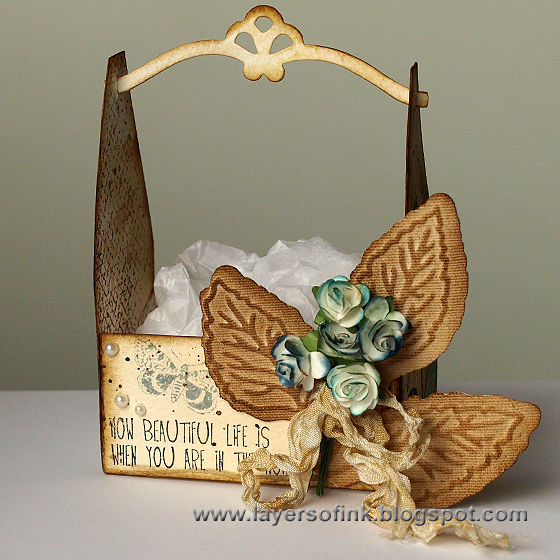 I am sharing a project on the Sizzix blog today, a sweet flower crate made with the Fancy Crate Bag die from the new French Farmhouse collection. 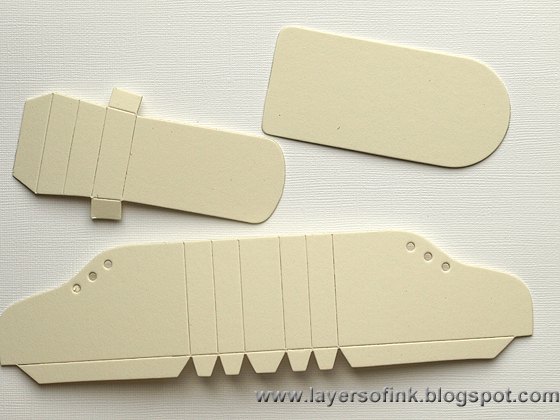 This would be great as gift packaging, or you could make one to store small embellishments in. The leaf was die cut and embossed with the Botanical Leaves set. 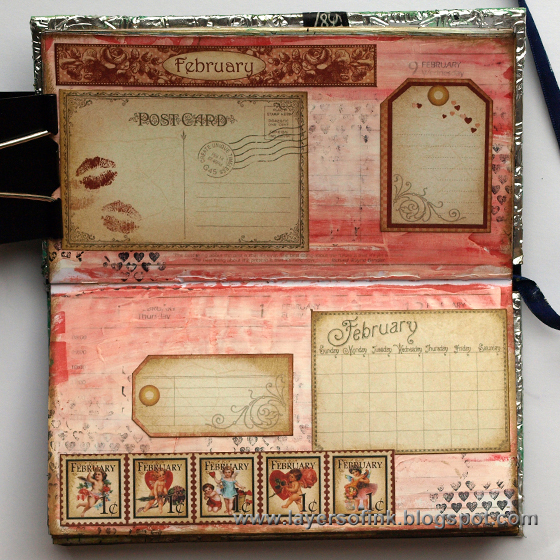 I also used stamps by Wendy Vecchi, sticky-back canvas, Distress Ink and some paper flowers. 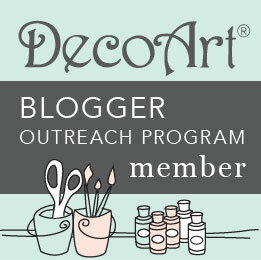 To read more about how I made this and for more photos, head over to the Sizzix blog. Hello everyone! 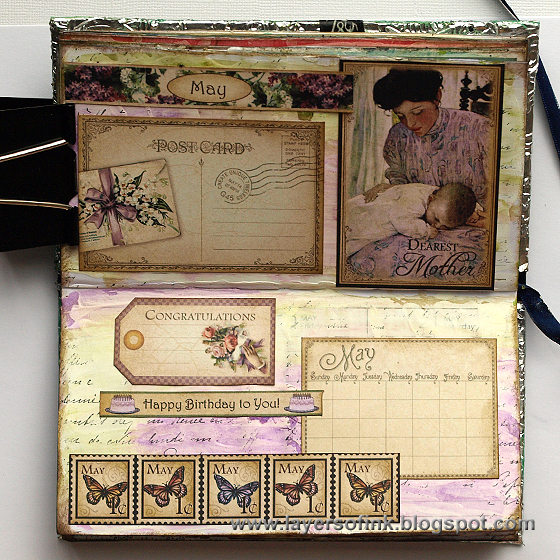 A new fun challenge is up at Simon Says Stamp Monday Challenge blog, 'A is for'. I had so many ideas for this challenge and couldn't make up my mind. 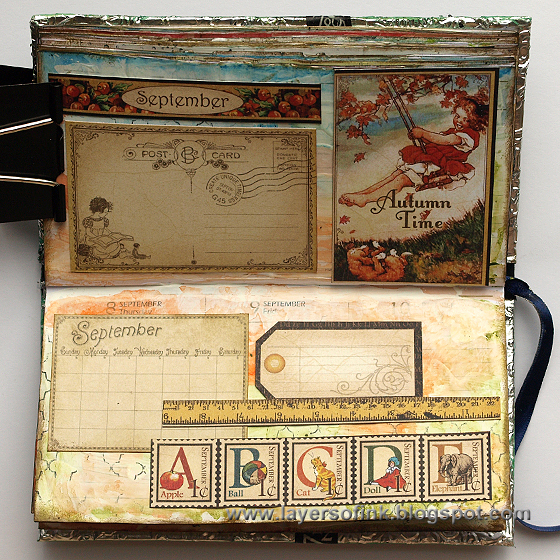 Then I got the phrase 'Altered Artsy Almanac' in my head and remembered a planner from some years ago that I never used. 'Almanac' is a common word in Swedish for a calendar or a planner, I think it might mean something slightly different in English, more in the line of weather, tides, planting times and such. I wasn't sure what to do with my almanac, but figured that something that was meant for planning a year, might work well for recording a year too. I used a bunch of different techniques to make this and turned it into a tutorial. 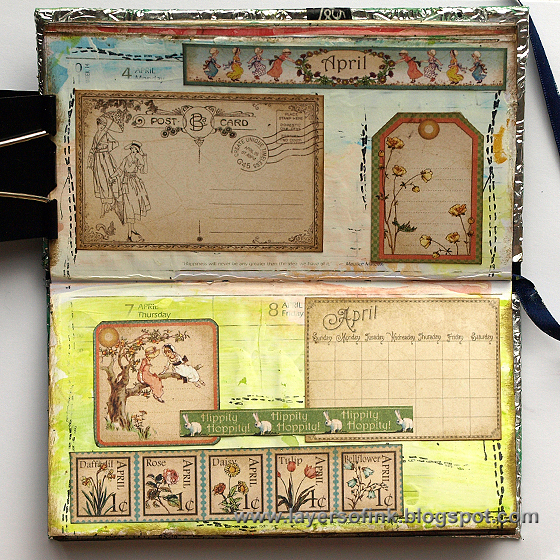 The original planner, just a plain planner. 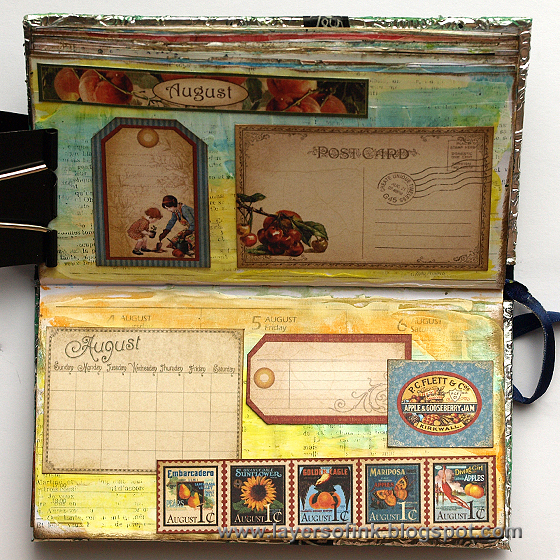 I started by gluing pages together with multi-medium, leaving me with 12 spreads, one for each month. They were left to dry overnight, under a book with wax paper in between each page. Then I gave each page a coat of gesso. 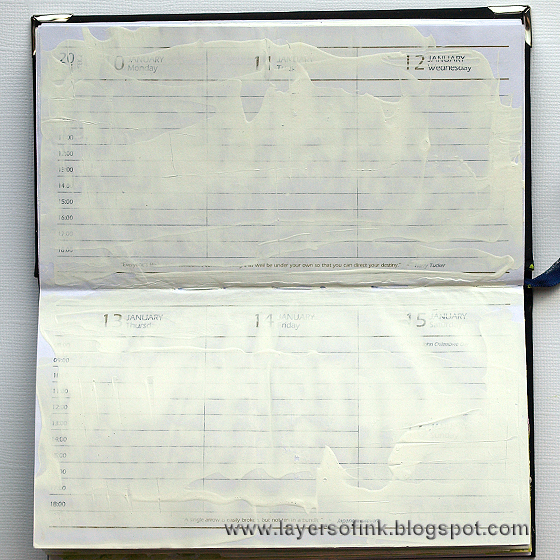 The planner had really thin paper and they didn't handle the gel and the gesso very well, with quite a bit of warping involved. I almost gave up, but decided that it wouldn't matter and wouldn't show as much in the end. 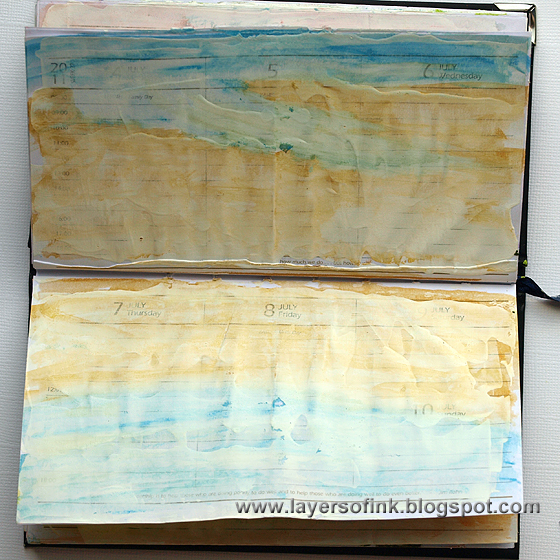 When the gesso was dry, the pages were coloured with Gelatos. I knew I was going to use Graphic 45 A Place in Time 8 x 8 papers, which contains pages for every month of the year and picked colours to fit with the patterned papers. 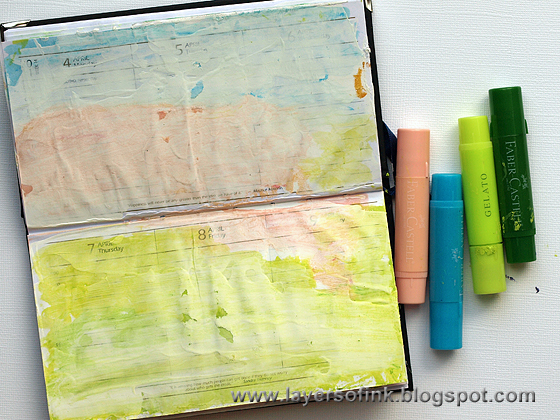 Just scribble the Gelatos over the gesso and then spread and blend with a paint brush and water. 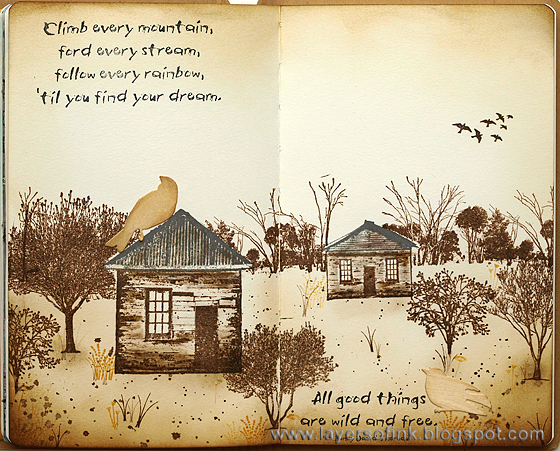 Each page has different colours. My son actually helped a bit with the colouring, but since precision wasn't necessary here, that was fine. Except that he wants to include a bit of black everywhere, which would have created mud. 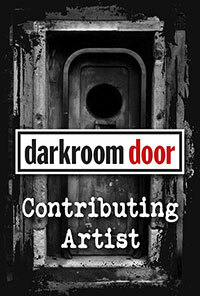 After finishing preparing the inside pages it was time for the cover. 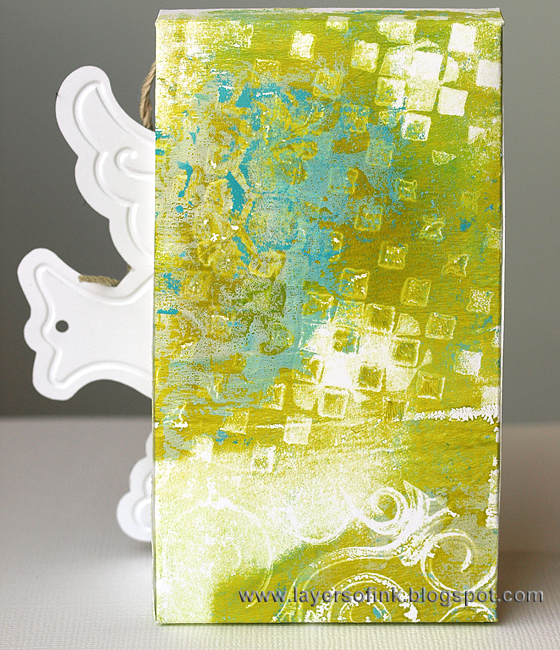 I embossed foil tape in two different embossing folders. 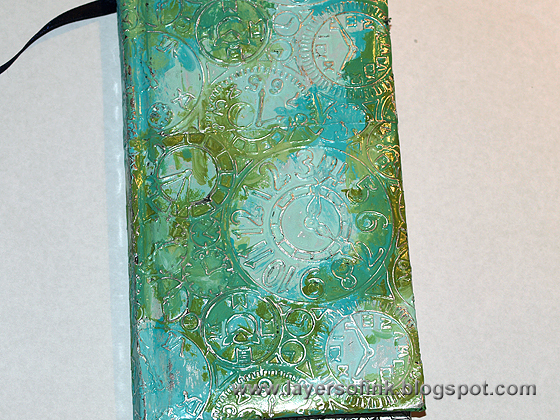 I used the bubble folder embossed foil on the back. I coloured the cover with Patina Ink (Verdigris, Marine and Moss), applying the inks with a paint brush and letting them blend into even more shades. 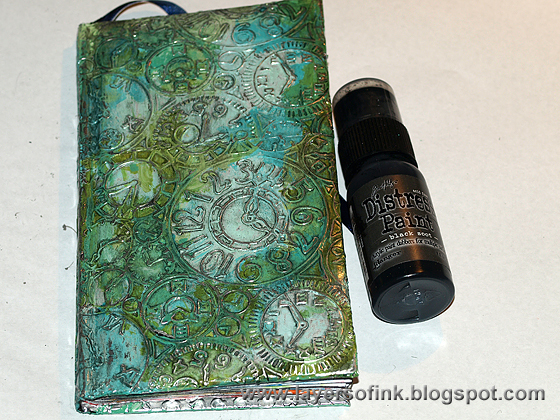 The Patina Inks dry very quickly. Lightly burnish to reveal some of the metal. Water down Black Soot paint and paint the cover. Leave for just a little while and then wipe most of the paint off with a cloth. 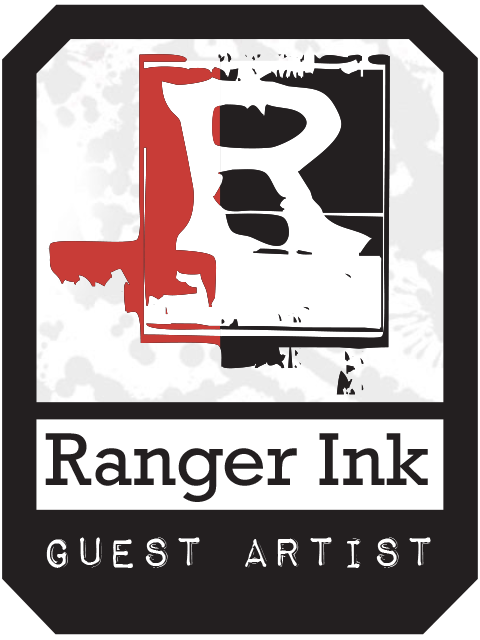 I swept a Ranger Emboss-It Dabber around the edges and embossed with Stampendous Aged Silver Embossing Enamel. 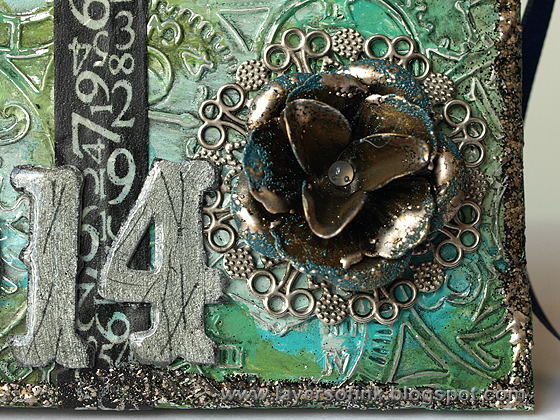 The Prima metallic rose was also embossed with a little bit of Teal and Silver powder. Be careful since it gets hot. 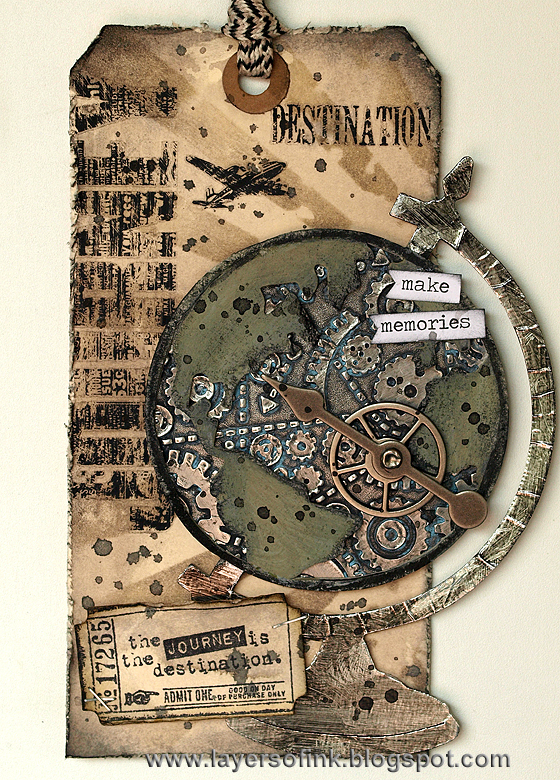 The letters were die cut from grungeboard with the new Vintage Market die. They were painted silver, sanded and scratched and inked with Black Soot. I coated them with Glossy Accents. The Prima metallic word was embossed with a little bit of silver powder. I used washi tape to cover the joint between the two pieces of foil. Quite a transformation from the plain black cover. I used the Graphic 45 papers to decorate the inside pages. I made sure to include enough space to write on. 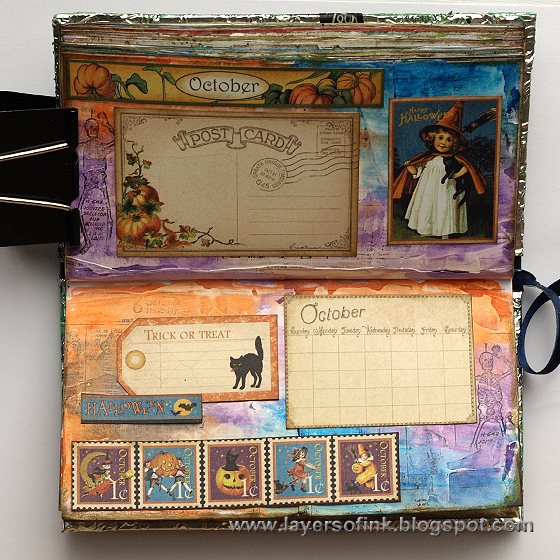 I used similar parts of the 8 x 8 papers on each page, but still have lots of left-overs. Potting Soil ink was used to ink the edges of the pages and I also stamped each page randomly with a different background stamp, using Jet Black Stazon ink. 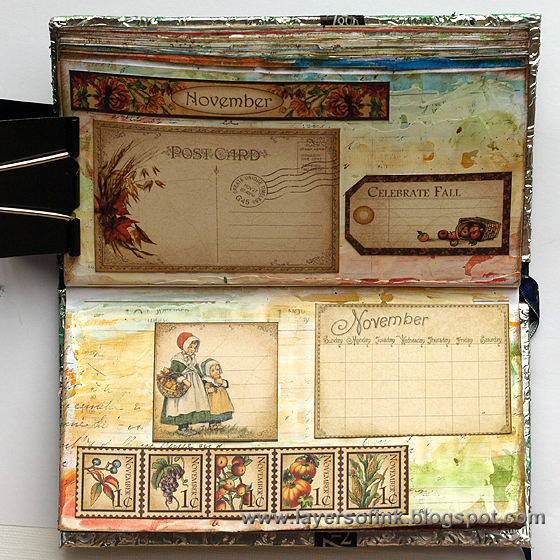 I made sure that the month on the original planner pages showed through at least on one place on each spread. Love the bird images here. 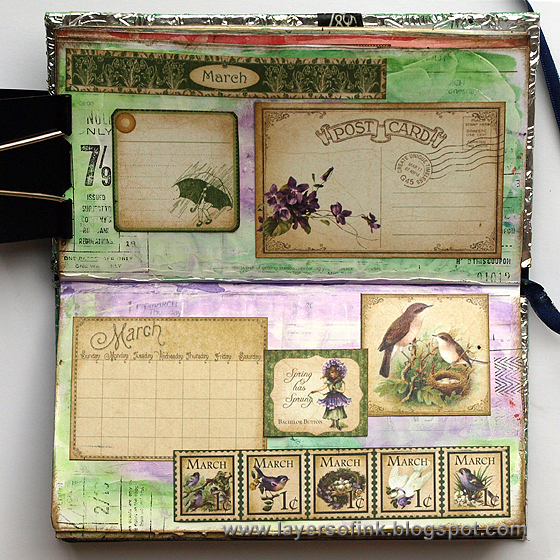 On each page spread I used the monthly planner paper, a strip of postage stamps, and a title strip. Beautiful flower images for June. 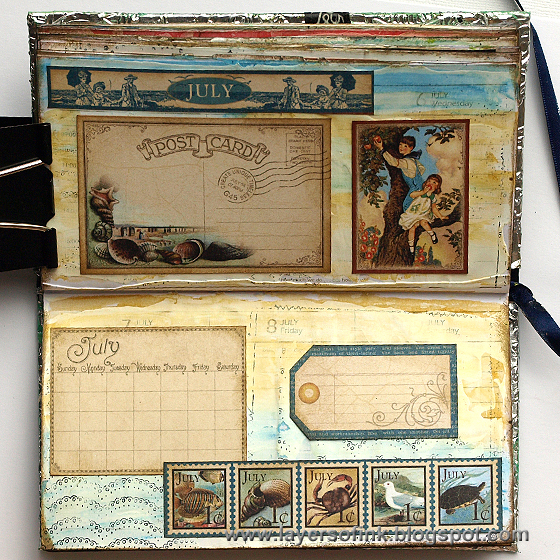 I tried to pick stamps that fit with the months, a wavy scalloped pattern for the sea images of July. 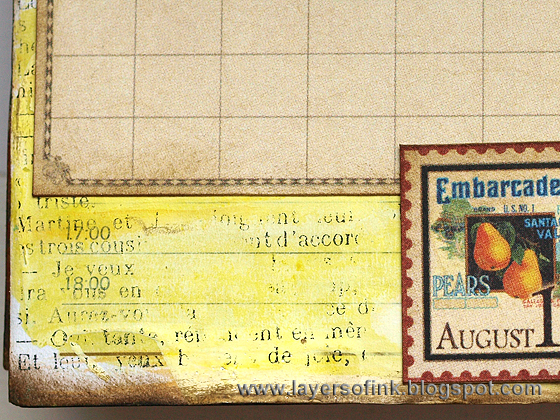 As you might know, I love text and script stamps, this is a part of a Hero Arts stamp. September, with some sweet school time images. My son's favourite page, and here he could add some black Gelato to the background too. As you can see, the initially warping of the pages, isn't as visible once they are decorated. 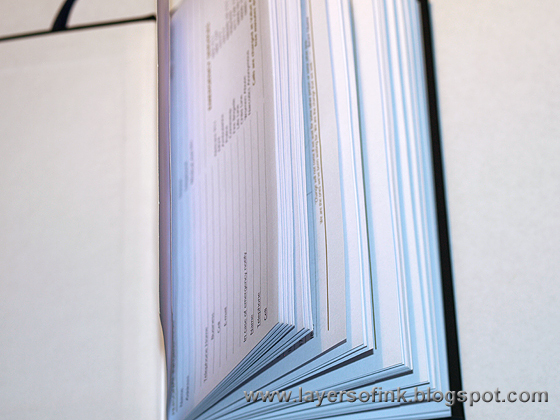 The gesso gives a nice surface for the Gelatos and also makes the pages sturdier. 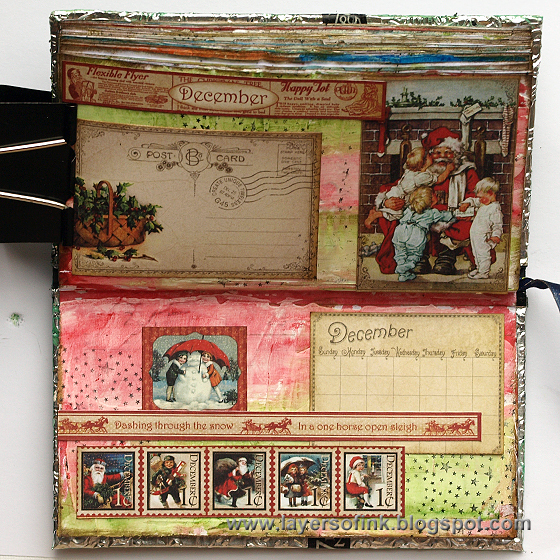 And finally December, with a new favourite background stamp, Tiny Star Background by Hero Arts. I hope you will join us this week! As always, one random participant wins a $50 gift voucher from Simon Says Stamp.